When you say you live in Totnes to anyone, you get a knowing look and comments like, “Oh! laid back Totnes…..shouldn’t you be wearing sandals/dreadlocks/tie-die and smoking funny cigarettes.”? As a very happy resident and having now opened up our estate agents in Totnes, this can make me a bit frustrated but also proud to be a Totnesian and what it can offer. This comment was directed at me one Friday afternoon but I just laughed it off and went for a drink with some friends in The Totnes Brewing Co. which has become a regular appointment in my diary, when I can make it! The conversation started with one of our regulars telling us he was very excited as he had just come back from a 2 day trip in London where he had secured £200,000 worth of funding for his next business venture. He is a MD of three companies and employs people in Totnes, London and Europe. I then looked round the table and there was an Architect with his own successful practice, an MD of a Tech company with clients all around the UK, a Planning expert and a well renowned garden designer who has just moved his business from London to Totnes. We all had our own successful businesses. I did a bit of research (it did not take long) and found other inspirational businesses based here. The most famous being Riverford which supplies organic veg boxes throughout the UK, and an award winning VDO and Brand Agency called Red Handed that has worked with British Gas and Tesco. The interior design company called Nkuku sells beautiful furniture and items from craftsmen throughout the world. 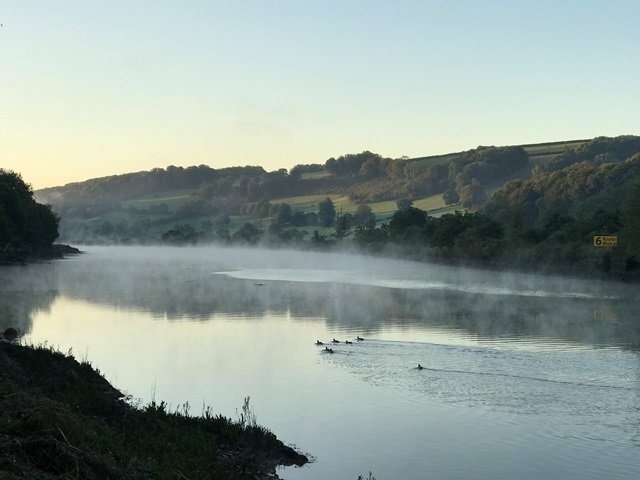 There are many more entrepreneurs, especially from the South East, who decided that Totnes was the place to set up a business and to start a new life by relocating their families lock stock and barrel and bringing knowhow and employment opportunities for the local community as a whole. Many of them still keep links with London and the excellent direct train line from Totnes to Paddington is invaluable and with Exeter Airport only 40 mins drive away, flying to London City Airport makes it a convenient location. 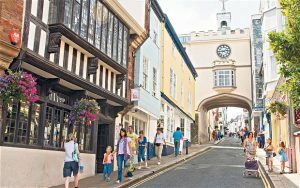 What I like about Totnes is that it is a quirky, cool, and quintessentially an English gem of a town. With over 200 independent shops and a very evident lack of big name stores, Totnes town centre is dedicated to the promotion of independent retailers. 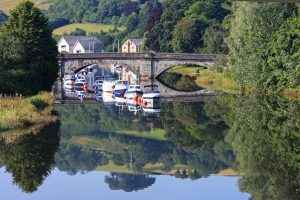 With stylish boutiques, funky gift shops, incredible eateries and a wealth of home grown enterprises to explore, life in Totnes is about as far from the traditional suburban High Street as you can imagine. On market days the town is bustling with shoppers from all walks of life, and you can pick up handmade soap, whittled wood, local produce, vegan treats and in fact, a whole load of other bits and pieces that you never even knew you wanted. With an atmosphere that harks back to simpler times, the town really does offer a laid back country living close to the coast without having to compromise on style or quality. “That is why I live in Totnes”! If you are thinking of moving to Totnes and want to have a chat about all it offers please come and see us in our new offices at 35 Fore Street, Totnes.